So, the other day this dude walked up to me and said "Yo, Alex. 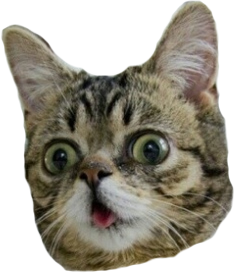 What are cats?" The domestic cat (Felis catus or Felis silvestris catus) is a small, usually furry, domesticated, and carnivorous mammal (Which means they might eat you if they're too hungry). It is often called the housecat (Who knew?) when kept as an indoor pet, or simply the cat when there is no need to distinguish it from other felids and felines (Yep). Cats are often valued by humans for companionship (They're so cute!) and their ability to hunt vermin and household pests (True story). "Hey man... what exactly are pineapples?" 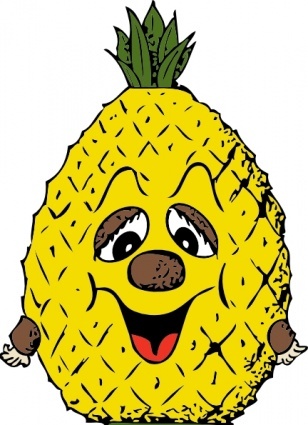 SUPER SCARY PINEAPPLE CLIP ART!!! Educating cool kats everywhere since... uh... I don't know. No group advertisement here... move along (Check out my group). Where are u dude? Haven't got time to be online huh? waz up! how is the martial arts going did you perfected your megaton punch. waz up! like the pics you posted and your avatar of the greatest hero off earth special forces. Have yourselves a potato too sir, but you need to relax it first in a warm bath so it will not attack you when you pierce it with your fork.